Online communities offer a wide range of opportunities today, whether they're supporting a cause, marketing a product or service, or developing open source software. 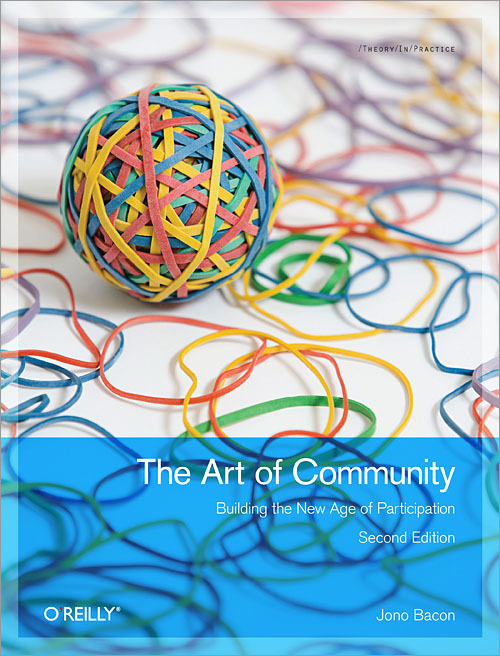 The Art of Community" will help you develop the broad range of talents you need to recruit members to your community, motivate and manage them, and help them become active participants. Author Jono Bacon offers a collection of experiences and observations from his decade-long involvement in building and managing communities, including his current position as community manager for Ubuntu, arguably the largest community in open source software. You'll discover how a vibrant community can provide you with a reliable support network, a valuable source of new ideas, and a powerful marketing force.